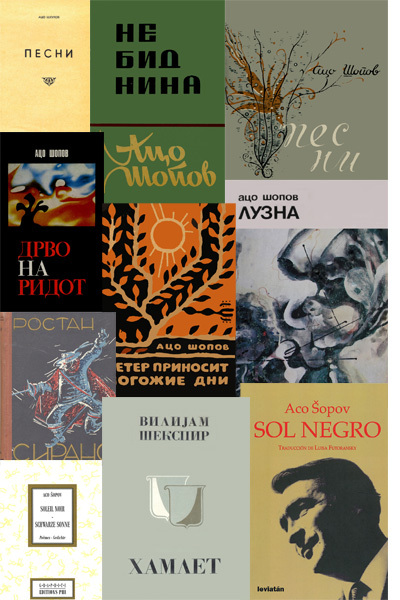 Welcome to the Library of Macedonian poet Aco Šopov’s (1923-1982) Lyrical House. In this room you will find a English bibliography as well as a full bibliography, including all languages. You can also get a closer look at a selection of his books. A selection of his poems and writings, as well as articles about him is available in the Reading Room.